Summer is almost here, only recently we had cold days and now even before the official hot summer days we have them already to jump into and forget about winter. Hot days bring new challenges, sunscreens, anti-perspirants and deodorants to make sure we feel great, do not burn our skin and smell like we just left hot yoga practice. Our bodies detox for approximately 4-15 days, and remove the toxic buildups through sweat. If you are using anti-perspirants and prefer to switch to a healthier alternative, then Vanilla Mint Deodorant Crème is exactly what you need. This organic, chemical-free cream deodorant does not clog the pores and shrink the sweat gland, it is simply fight bacteria and provide a nice scent for your armpits. Technically speaking, Vanilla Mint Deodorant Crème does not stop you from sweating; it simply reduces the odor coming out of your body. The deodorant which has 100% organic ingredients including organic shea butter, organic arrowroot powder, organic virgin coconut oil just to name a few is perfect for breastfeeding mothers, people with various medical conditions and anyone who is health-conscious and wants to use organic products. 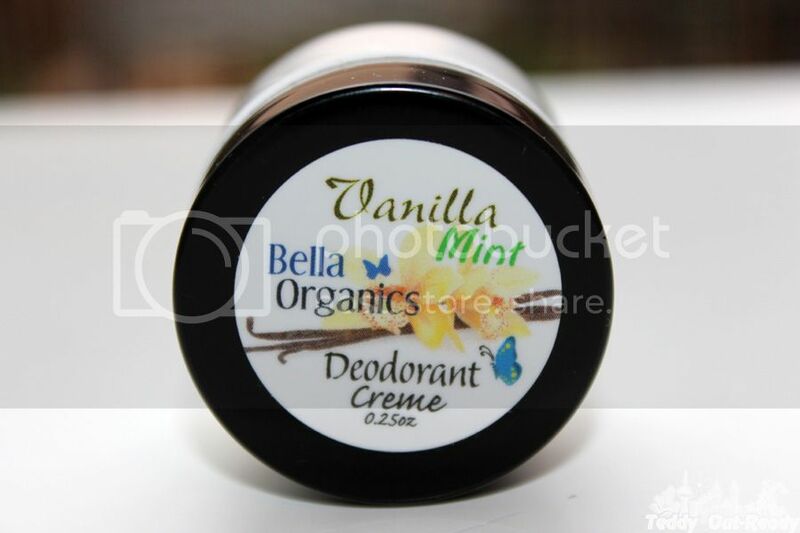 Bella Organics Vanilla Mint Deodorant Crème I received has a pleasant smell with dominating mint. It is not a roller deodorant so you need to scoop a pea-sized amount from the jar with clean finger and rub onto each underarm. For more information about Bella Organics and their organic products for face, body, baby care please visit company web site. You can also check other than Vanilla Mint Deodorant Crème flavours, there are so many to choose from. 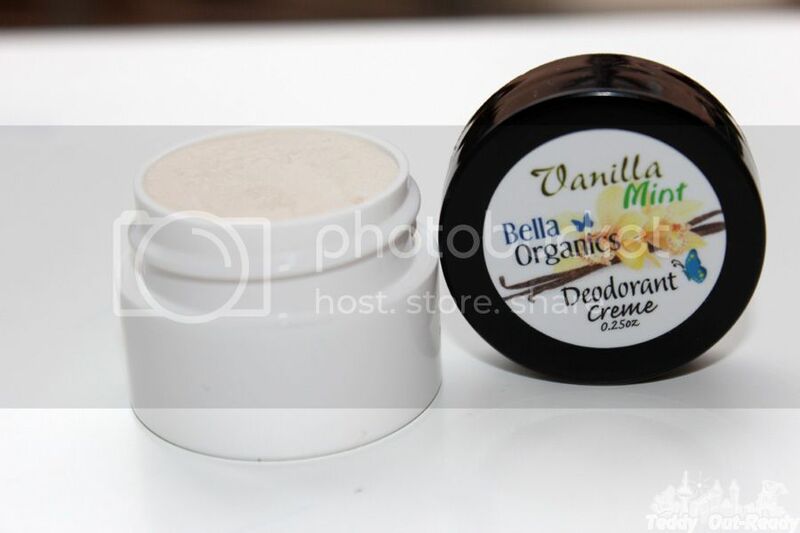 For our readers we are happy to host a giveaway and bring a chance to win one Bella Organics Vanilla Mint Deodorant Crème. Simply fill the Rafflecopter form below and Good Luck! The giveaway is open to US and Canadian residents and ends May 25, 2015. The Rosehip & Pomegranate Anti Aging Face Cream sounds wonderful! Would love to try this, never used a deodorant creme before. ALL your products look & sound fabulous! So cool! Haven't seen this before! I would really love to try the the Aloe-Vera Coconut Hand Cream! I would like to try Dead Sea Mineral Mud Mask. The Dead Sea Mineral Mud Mask. I like Caribbean Coconut Body Butter. I would like to try the Aloe-Vera Coconut Hand Cream.